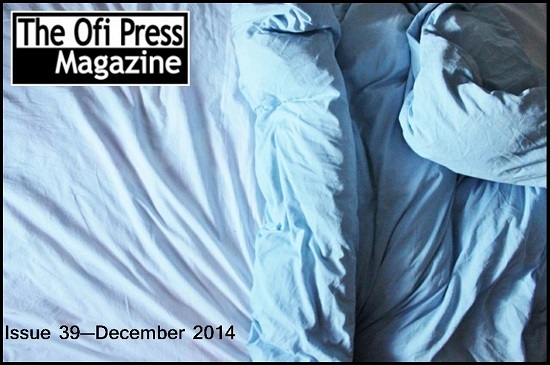 The Ofi Press magazine wants your poems! Ofi Press Editor Jack Little is looking for new poems by Young Poets Networkers for the April 2015 edition of their magazine! The Ofi Press was founded in December 2010 by poet, editor and Young Poets Networker Jack Little, with the aim of promoting Mexican literature around the world and publishing the best in international poetry, fiction, essays and more in a monthly online magazine. In 2013, Young Poets Network collaborated with The Ofi Press to produce a special edition of poems by young poets, whose work was translated into Spanish and published in both languages. Now we have a new collaboration with The Ofi Press: read the three poems by Mexican poets below, and choose a theme from their work to create your own poem! Read the poems below and Jack’s short discussion of their themes. Then choose one of these themes, or others you find in the poems, to write your own new poem. It can be a broad or specific interpretation – we look forward to seeing what the poems inspire! Jack says: I love this poem, which brings to life the business and the bustle of Mexico City. Is yours a noisy homeland, or something more tranquil? What does your homeland, your identity, mean to you? Jack says: This poem explores humanity’s battle with nature in a dreamlike state. Who do we battle with? In what do we find adversity? What visions do you see in your dreams? Jack says: What does it mean to exist? Our lives are but a tiny drop of time in the grand ocean of infinity. What does our existence mean? What is faith? How do we deal with our own frail immortality? This opportunity is for poets aged 25 and under. The deadline is Sunday 8 February 2015. Send in as many poems as you like – just let us know what theme you have found in the original poem or poems to inspire you. This only needs to be a few words. You can send a page poem written down, or a performance poem as a video or as an audio file – we can’t wait to see what you come up with! Send your poems to educationadmin@poetrysociety.org.uk with your name, age and address. If you are sending a written version of your poem, please include it in the body of an email. If you are sending a video or audio file, please attach it to the email (making sure it isn’t bigger than 4MB or it won’t come through) or send us a link to where we can see/hear it. We will add you to the Young Poets Network emailing list – please let us know if you’d rather we didn’t! Jack, Alberto, Georgina and Ingrid will choose poems to be published on The Ofi Press website in April 2015 – a fantastic addition to your writing CV! We will also send each published poet a Young Poets Network notebook. 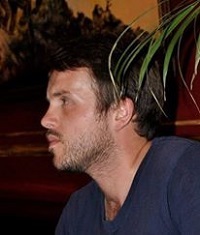 Jack Little (b.1987) is a British poet, translator and editor based in Mexico City. He is the founder of The Ofi Press and his recent publications include in Wasafiri, Under the Radar and The Screech Owl. I entered the competition tonight, will it effect my odds of winning because i sent mine in early? Hi Oliver, no it won’t affect your odds whenever you send in your poem – everything is judged together at the end of the submission period. Hi, is there a word/line limit on the poem? Hi Jasmine, there’s no word or line limit! Hey! Are the entries of participants from all countries accepted? Yes! We accept entries from all over the world. We look forward to reading your poems. Hi, if I have more than one poem to submit, should I send them separately or together in one e-mail? Hi Amelia. You can send them all in the same email. Hi, can I submit both written poems and songs? Hi Morghan, you can submit both poems and songs if you like, but the focus will be on the lyrics. Would it be better to state the lyrics in the email, as well as sending the song? Hi Morghan, Yes that sounds a great idea. Best of luck! Hi there, we are asking for poems – but you are free to interpret what a poem is! For instance, it could be a prose poem, or a found poem. Just find the best way to convey the ideas and impressions you are interested in. When will be the names of the poems which are getting published announced? Hi Smriti, the deadline isn’t till 8 Feb so it will be a few weeks after that! When will the results be announced? Hi Gabby, the results should be announced over the next couple of weeks!